I live for going above and beyond for my clients. Honestly I do. I have learned over the years to put down my pride when I'm dealing with anyone that is sitting in my makeup chair. It isn't about me at all. It all boils down to did I make them feel pretty and do they feel like I did everything in my power to make sure they felt pretty. Because we all know hair and makeup has power and it can be the smallest thing to make all the difference! In my 13 years of doing hair and makeup for weddings (and I mean hundreds of weddings,) I have fired a bride only one time. I actually told her AFTER meeting her and doing a trial that I would NOT be able to beautify her for her big day. It wasn't an easy decision to make. I thought about it for days. I called some friends in the industry and sought their opinion, and in the end I realized that I can't make everyone happy and I need to do what I feel is best for me and my business. Why the harsh kick to the curb for this particular bride? Because I realized in my dealings with her that she had completely unrealistic ideas AND felt completely entitled to them. Not only did she tear apart my skills, and business; she felt the need to question my integrity. And the thing is, I had done her hair and makeup before. She was a past bridesmaid and hired me because she loved what I had done at her friend's wedding. I've seen it time and time again. Brides losing it over insignificant things. The shade of pink isn't right in the flowers, the weather isn't perfect and the ceremony has to be moved inside. I literally heard a bride tell her wedding planner she didn't care if her guests got wet, she was having the ceremony outside in the pouring rain. The list goes on and on. I've witnessed a ridiculous amount of CRAZY surrounding wedding days. But this girl took it to another level. And all over a contour. Now I'm not sure about you, but if I hired someone to make me pretty for my big day, I'm pretty sure I wouldn't try to piss them off. I mean, I've had some pretty strong brides in the past with very particular ideas to what they wanted for their look, I actually enjoy pleasing HARD TO PLEASE clients but this girl took the cake. She called me names, told me my price was too high and ripped a part one of my hairstylist, who had spent 3 hours with her perfecting her bridal updo. Do NOT piss off the girl getting you pretty. It's just not in your best interest. Trust me. And after another scathing email landed in my inbox, I had HAD enough! No amount of money was worth THAT AMOUNT of stress and disrespect. I told her we were not a good fit, gave her every dime back and canceled her day. I came to the conclusion I would rather be poor then deal with her and I absolutley didn't care if she ripped me a part for firing her, which she did. Her own wedding planner later told me she didn't blame me for firing her. Because sometimes you just have to realize that some people cannot be pleased. They just can't. It's not about me, it's a THEM issue. And when someone has a MAJOR ISSUE with themselves it's really hard to try to fix anything for them. You CANNOT fix people who DON'T want to be fixed. Yes, I could have done a 4th trial with this particular bride, and added more contour but I knew that even perfecting that wouldn't make her happy. She most likely would have found something else to nit pick a part. Her demanding attitude had NOTHING to do with me. This happened a couple years ago, and I have never before or since fired another bride, but would I do it again? Yes and without thinking twice. If you read my blog, then you know I am all about grace and forgiveness. I strive to love others above and beyond anything else. BUT there comes a time when loving yourself is more important than accepting someone else's mistreatment of you. It is okay to protect yourself. It is okay to say NO to people. It is definitely OKAY to have boundaries, even when you work in customer service. In an age where the customer is always right...let me tell you they aren't always right. And if there is not a common respect to work out a resolution between two parties then there is nothing wrong with ending the agreement! Because in the end, showing someone who is acting like a bridezilla, what really is important is loving them. And what is important? Their relationship, and the future of their relationship. If they spent even one ounce of that energy focusing on building up their future marriage, they would be in setting themselves up for success. It is reminding them that relationships are all about respect (marriage in particular) and that the focus of a wedding should be centered on the union that is about to take place and NOT the wedding day contour, shade of pink in the flowers, or wedding dress. Trust me, NONE OF THOSE THINGS MATTER! Take it from one divorced girl who had to learn the HARD way. Wedding days can bring out the best or worst in you and honestly is very fore-telling of the future of your marriage. Want a happy, FOREVER marriage? Then focus on what really matters. Them! 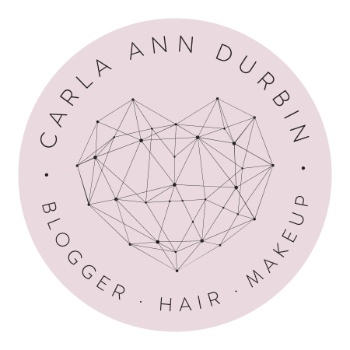 Carla Durbin - I am SO THRILLED you felt that way for your wedding day!! Literally, makes me SO HAPPY!! I hated to fire her, but it was SO NECESSARY. Thanks for reading and I'd love it if you shared it. XO! Christina Burns - Oh girl.. I can only imagine how dumb she felt when she couldn’t find anyone half as good as you. I’m sure she wished she would have kept her mouth shut and been patient with the process. That’s one thing I never questioned, your ability to make me feel beautiful on my big day and girl, if I could hire you everyday for the rest of my life I would because the level of confidence you helped me have on my big day was indescribable. Love your blog - thanks for posting!